Congratulations on being admitted to the University of Rochester! We know that finances are a big part of the college decision-making process for college. For many of you, the question “Can I afford it?” will be weighing heavily on your mind as the May 1 decision deadline approaches. 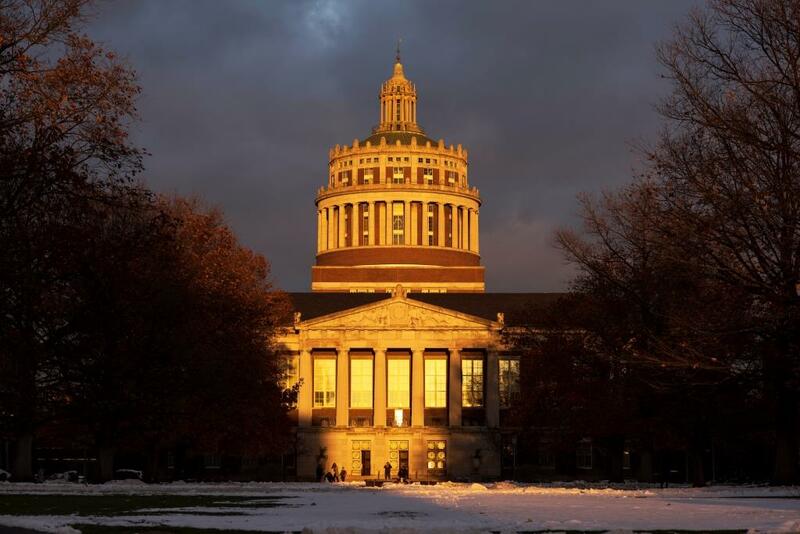 So, what are some of the considerations you and your family need to think about when it comes to affording an education at the University of Rochester? 1. What types of aid can I receive? Financial aid is generally divided into two types: grant/scholarship aid, and self-help aid. Grants and scholarships can be based on your academic and extracurricular merits, as well as your financial need. These are sources of “free” money that you can be awarded by federal and state governments, the University, and outside agencies that offer scholarships. Self-help aid is a source of funding where there is some sort of obligation attached to receiving the funding, and you help yourself to pay for your education. These can include loans to be paid back after graduation, and work subsidies to help you earn a paycheck through an on-campus job. 2. Am I or my parents able to finance a portion of my education, or even the full amount? Yes. The Department of Education offers the Federal Parent PLUS Loan to parents of undergraduate students. There are also private educational loans that can be applied for in the student’s name. 3. What opportunities do I have to receive more funding? There are a wide variety of outside scholarships available to students. It is well worth exploring options and upcoming deadlines, as there may be several hundred or even several thousand dollars out there just waiting for students to apply for it. 4. Is my financial aid offer for all four years? No. Need-based financial aid is reapplied for every year, and may be adjusted to account for year-to-year changes in your family’s financial circumstances. Some common things that result in year-to-year changes to aid are increases or decreases to the family’s income, or a sibling entering or exiting college. Keep this in mind for future planning and you’ll know whether to expect similar aid. If you know large-scale changes to your circumstances are coming, contact your financial aid counselor for guidance and planning. 5. You’ve discussed loan options as a way of financing. How do I plan for repayment? The Department of Education and other educational agencies provide multiple loan repayment calculators to help you determine what your repayment will look like after graduation. For some great information on borrowing and debt in general, visit the Department of Education’s Financial Awareness Counseling tool. It’s useful in advance to get a preview of how loan repayment works, and it’s even more useful after you’ve accepted the loans in your aid package. 6. What other changes can I expect? The cost of tuition and housing typically increases 3–5% every year that you’re enrolled at the University. At the same time, though, we also account for those increases in our determination of your need-based financial aid. The basic formula for aid is Cost minus Contribution equals Aid (Cost – Contribution = Aid). If costs are going up and your Expected Family Contribution stays the same, then aid goes up along with the cost. Beyond that, the levels of self-help aid such as loans and work opportunities increase as you move from freshman to sophomore, and sophomore to junior years. The overall amount of aid will stay consistent if your family’s finances don’t change year-to-year, but there may be more loan funding for your sophomore year package compared to your freshman year package. Again, congratulations on your admission! We hope this answers a few of your questions as you review your financial aid package. If you have further questions, please contact us at (585) 275-3226 or finaid@rochester.edu. You can also find us on Twitter @URFinAid.